Attention! Santa's Workshop is now hiring! It's a little-known fact but Santa's workshop actually has the highest turnover rate of any company on the North Pole! Keep in mind that it's the only company there, so it doesn't sound nearly as bad. But still, Santa is looking for more help as Christmas creeps closer. All the elves complained about not being able to support their families or pay their bills. As one can imagine, the price for running water and heating in an arctic tundra gets pretty ridiculous. So nowadays most of them have joined the tree-dwelling elves and perfected the art of baking cookies without burning down the forest. While Ole Saint Nick respects what his old workers are doing with their lives now, he still needs help, so, it's up to you! All he requires is that you have a jolly smile on your face and that, of course, you wear the designated uniform while in his workshop. 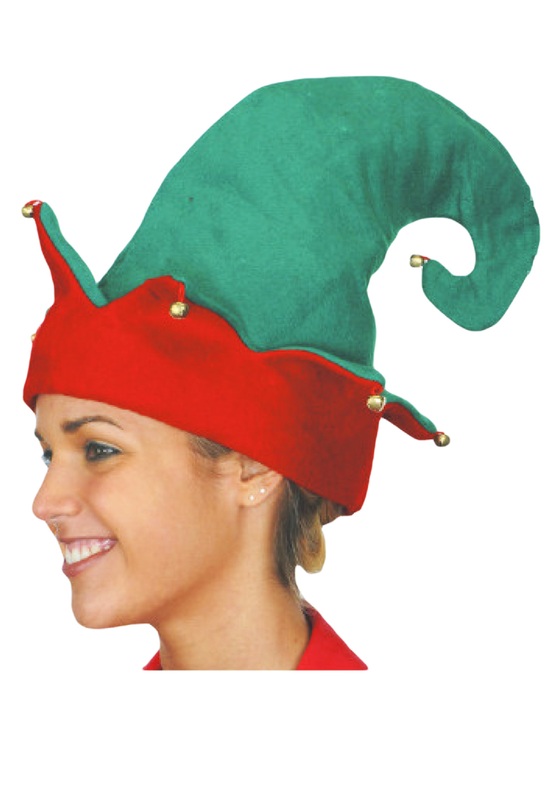 So grab this Elf Hat and start helping Father Christmas bring happiness to all the boys and girls!